Find out how shocking every death "Avengers: Infinity War" is. The latest Marvel superhero movie "Infinity War" is a blockbuster on its way to $2 billion. Marvel Studio head Kevin Feige promised big changes to the Marvel Cinematic Univers (MCU) after the movie and they delivered. Almost half the superheroes in the MCU died. Some weren't too surprising but some were jaw-dropping. WARNING: THIS POST CONTAINS SPOILERS FOR "AVENGERS: INFINITY WAR"
We don't know what's going to happen in "Avengers 4" and some of these characters will come back but that doesn't mean they're all safe. In an interview, Christopher Markus and Stephen McFeely said the deaths were real. "[The deaths are] real," Markus told BuzzFeed. "I just want to tell you it’s real, and the sooner you accept that the sooner you will be able to move on to the next stage of grief." Here are the most shocking deaths in "Avengers: Infinity War". Paul Bettany plays the synthetic being known as Vision. He can control his density, shoot blasts of energy and can fly. Bettany started out as the voice of Stark's A.I program J.A.R.V.I.S. In "Avengers: Age of Ultron" his consciousness was transferred to the Mind Stone and implanted in a synthetic body by Ultron. 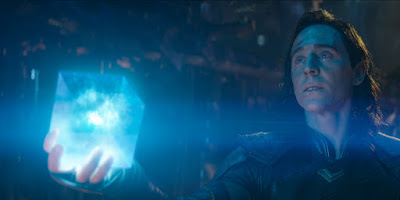 Scarlet Witch tried to destroy the stone to keep it from Thanos. But Thanos uses the Time Stone to reverse time, bring Vision back, take the stone out of his forehead and crush Vision. Considering Thanos wants the stones and Vision is literally made of the Mind Stone it's no surprise he'd die. Plus, the trailer showed someone prying the Mind Stone out of his head so this isn't a huge gimmie but it's still a shock. Jaimie Alexander played the fierce Asgardian warrior Lady Sif in "Thor" and "Thor: The Dark World". After Thanos killed the Asgardians on the Statesman many assumed she survived. Because of her show, "Blindspot," Alexander couldn't film "Thor: Ragnarok" so she never boarded the ill-fated ship. While we never saw her on-screen, the directors confirmed she was killed after Thanos used the power of the Infinity Gauntlet to wipe out half the universe. Joe and Anthony Russo, known collectively as the "Russo Brothers" told Huffington Post that she's "gone". We'll miss her sharp wit, fierce loyalty, and charm. 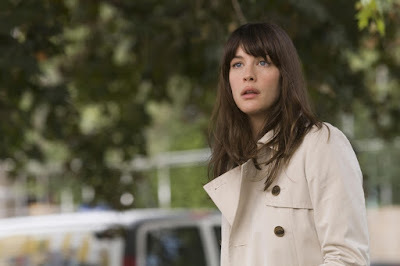 Liv Tyler played Betty Ross, the daughter of General Ross and girlfriend of Bruce Banner in "The Incredible Hulk". The Russo Brothers confirmed that Banner's girl died during the purge. In the comics, Betty Ross is the most important relationship Bruce has. It grounds him and keeps the Hulk under control. But she hasn't been seen in the MCU since "Incredible Hulk". Plus, Black Widow stole Banner's heart. Now the Russos confirmed that she's dead. It's a surprise since we never saw it happen on-screen. Plus, there were rumors that Tyler was on set filming "Avengers: Infinity War". Is she in a deleted scene? We'll just have to wait and see. Idris Elba rocked the Internet with his race swapped role as the Asgardian keeper of the Bifrost bridge. He's popular and has appeared in every Thor film including the latest movie "Thor: Ragnarok". But the actor has made no secret of his dislike of the role. While talking to The Telegraph he described his role on Thor 2 as "torture". "And in the actual scene, my hair was different, my… [Sigh] I was like, 'This is torture, man. I don't want to do this. '," he said. "My agent said: 'You have to, it's part of the deal.'" He also explained what it was like to go from playing the revered South African leader Nelson Mandela to a comic book character. "I'm actually falling down from a spaceship, so they had to put me in harness in this green-screen studio," he sighed. "And in between takes I was stuck there, fake hair stuck on to my head with glue, this f***ing helmet, while they reset. And I'm thinking: '24 hours ago, I was Mandela.' … Then there I was, in this stupid harness, with this wig and this sword and these contact lenses. It ripped my heart out." Later on, he said the idea of leaving Marvel was "crazy". But he did complete his four-picture contract with "Avengers: Infinity War". So it's no surprise that he was killed. It's a graceful way for his character to exit the MCU. Plus, he died sacrificing himself to save the Hulk. What a way to go. Agent Maria Hill only shows up in the end-credits scene showing her and Nick Fury getting zapped. 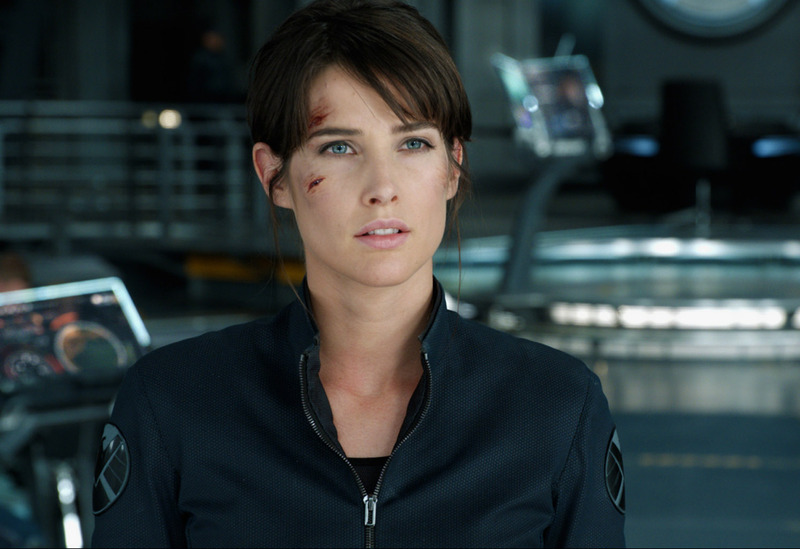 Hill is a trusted agent of Nick Fury but she hasn't been seen much. What makes it surprising is she's halfway through her contract with Marvel. She signed an eight-movie deal but has only been in four: "The Avengers" (2012), "Captain America: The Winter Soldier" (2014), "Avengers: Age of Ultron" (2015) and in Avengers: Infinity War (2018). She's had some significant parts in the Avengers movies but hasn't really been focussed on. Not a huge shock, but it's still surprising. Tom Hiddleston plays Loki, the god of mischief and adopted brother of Thor. He was the main villain in both "Thor" and "Avengers". Loki tries to kill Thanos and has his neck crushed by the Mad Titan. While he started out as a sympathetic villain he quickly became a megalomaniac in "Avengers". After that, he found redemption in later films and reunited with his estranged brother in "Thor: Ragnarok". This one isn't a huge surprise since he's a villain, but it is a surprise because he's gone on record saying he wanted to keep making movies. Hiddleston even speculated on the future of his character in interviews before "Infinity War". "Actually, what has been revealed to me through playing him is that all these motivations were actually misguided, he told Screenrant. "Needing to be king, needing the love of his father. And actually, it's something in himself, this kind of self-rejection or self-disgust that he hasn't fully realized. He hasn't just relaxed into it. I always think I just want to tell Loki to calm down and, you know, let's go for a pizza and tell me everything and I'll listen patiently. But yeah, I think he's not in control of his own mind." Plus, he's a fan favorite. Marvel doesn't usually let go of popular characters like that. Mantis is a former protege of Ego who can sense and, to a limited degree, control emotions. 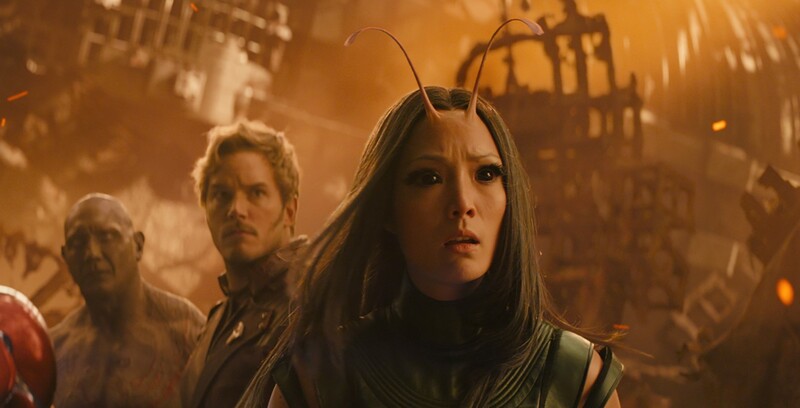 Pom Klementieff played Mantis with a sincerity and humor that was refreshing. She actually managed to make Drax, an already hilarious character funnier. Her ability to put people to sleep became surprisingly useful. But she came to a bitter end after only two movies. 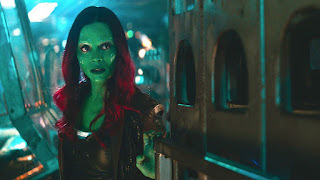 She's a minor character at best, but we thought for sure she was bound for greater things in "Guardians of the Galaxy: Vol 3". 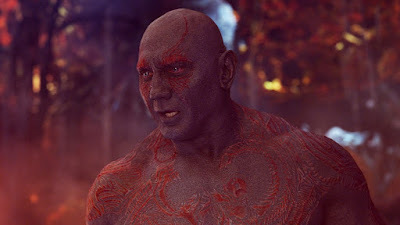 Wrestler-turned-actor Dave Batista plays Drax the Destroyer, an intergalactic criminal who has vowed to kill Thanos for the death of his wife and daughter. He's powerful, skilled and clueless. Drax' dry sense of humor easily makes him the funniest character in "Guardians of the Galaxy". 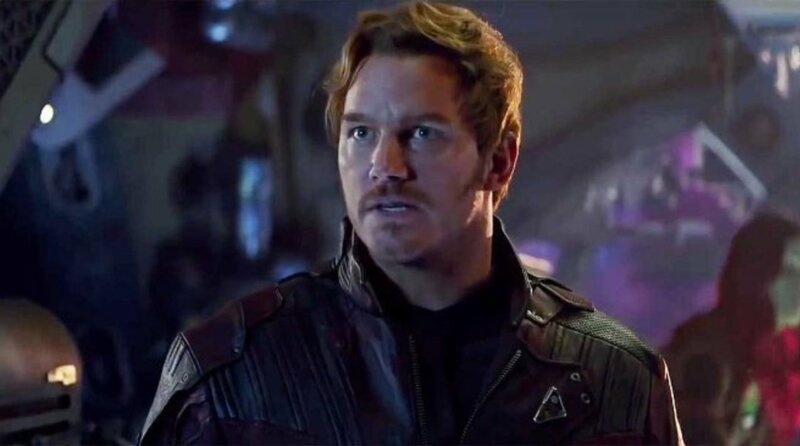 His death is especially sad because he'd just found friendship and companionship with Peter Quill and Gamora. Unfortunately, the death is less shocking because Batista already confirmed he's coming back in "Avengers 4" and "Guardians of the Galaxy Vol 3". But his final moments and word ("Quill") still ring in our hearts. 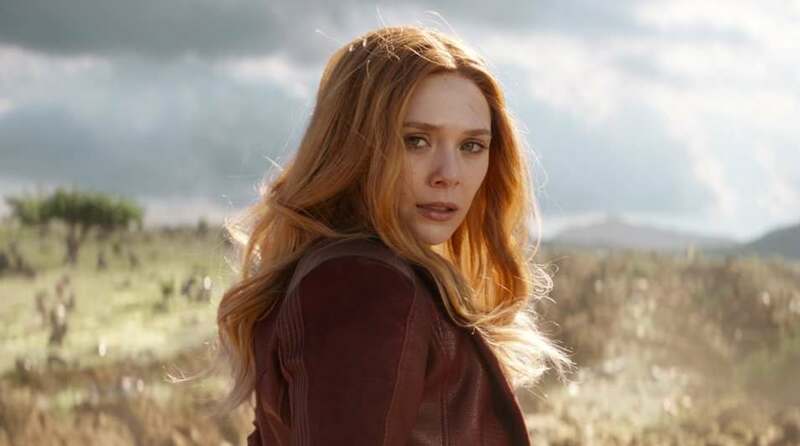 Elizabeth Olsen played the telekinetic superhero Scarlet Witch. She first appeared in "Captain America: The Winter Soldier" before causing serious problems for the Avengers in "Age of Ultron". She turned to the side of good and fell in love with Vision (Paul Bettany). Unfortunately, her joy was short-lived. Both she and Vision knew Thanos would come after him for the Mind Stone. She tried to kill him to save the universe but Thanos got the stone anyway. She turned to dust holding his lifeless body in her arms. While it was almost a given that Vision would die no one could have known she'd die so soon. Stephen Strange acquired uncanny powers from a Nepalese mystic and has become the sworn protector of Earth. 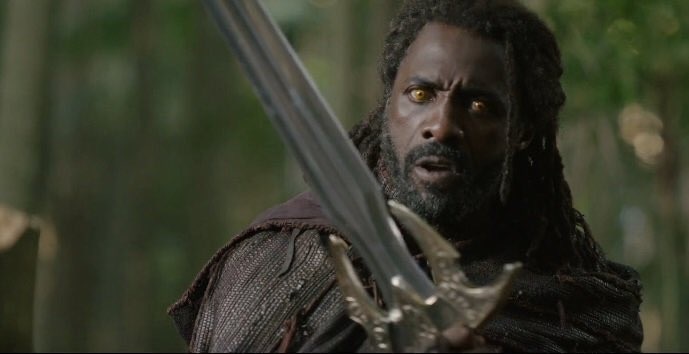 He was pivotal to the events in "Infinity War" because of his protection of the Time Stone. Early in the movie, Doctor Strange looked into many possible futures and saw the only way to defeat Thanos was to give him the Time Stone. Marvel has been cagey about sequels to "Doctor Strange 2" but Benedict Cumberbatch has talked about them. "The masterplan is continually in flux so it would be out of order for me to speculate," he told Entertainment Weekly. You can bet he'll be back in some form. "Guardians of the Galaxy" introduced us to the notorious space pirate known as Star Lord ("who?"). Chris Pratt plays Peter Quill, a human who was kidnapped and raised by aliens. He was hip, cool and brave. Quill's love for Gamora was so strong that he pledged to kill her if needed. 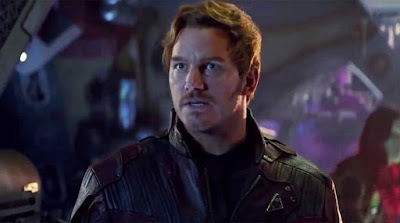 In a pivotal scene in the movie, he ruins the Avengers' plan to kill Thanos after finding out he'd kill Gamora. "People seem to be upset with Star-Lord," Chris Pratt told RadioTimes with a laugh. "Look – the guy watched his mother die, he watched as his father-figure died in his arms, he was forced to kill his own biological father. And now has suffered the loss of the love of his life. So I think he reacted in a way that’s very human, and I think the humanity of the Guardians of the Galaxy is what sets them apart from other superheroes. I think if we did it a hundred times I wouldn’t change a thing." Have no fear. "Guardians of the Galaxy Vol 3" is in the works by Marvel and you can bet he'll be back. 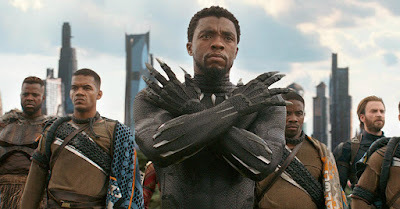 T'Challa was the leader of the fictional African nation of Wakanda. Chadwick Boseman first appeared in "Captain America: Civil War" before starring in his own film. The movie "Black Panther" broke box office records and is still bringing in money. Besides being a huge moneymaker he's also become as popular, in some cases more popular, than the original Avengers team members. We were just getting to know him and his struggles in "Black Panther" so it's shocking that he's dead. Kevin Feige and director Ryan Coogler have discussed sequels but nothing has been announced. Is he gone too soon? Anthony Mackie played Sam Wilson. He's a former Air Force pararescue airman who dons an experimental flight suit that allows him to fly with bulletproof wings. He first shows up in "Captain America: The Winter Soldier ("on your left!") and quickly becomes the best friend of Steve Rogers. He's the man who grounds Rogers and the right-hand man of Captain America. His death is not too unexpected but still surprising. 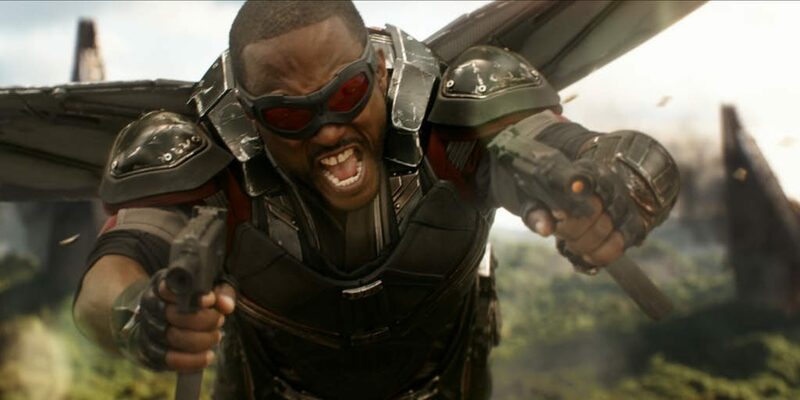 While his character is great, Falcon isn't generally considered an A-List character. We know very little about his background, family or favorite foods. His death is almost a throw-away. But it's his connection to Rogers and his fierce fighting style that makes his death that much more tragic. Plus, Falcon briefly took over the mantle of Captain America in the comics. It's been widely speculated that Mackie is going to take over the role of Captain America in movies. Guess Mackie won't be "cutting the check" anytime soon. 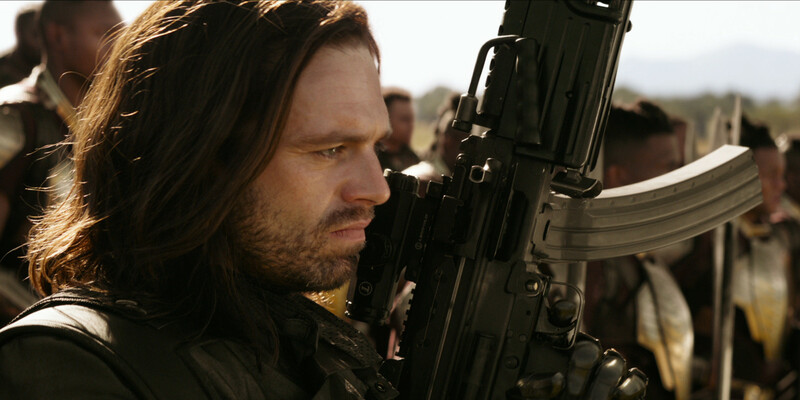 Sergeant James Buchanan "Bucky" Barnes was a former soldier in WWII with his childhood friend Steve Rogers. He was captured by HYDRA and became a part of their experimental super-soldier program. After his rescue, he inadvertently fell from a train during the escape. He was found by HYDRA and again was experimented on to become the brain-washed assassin "Winter Soldier". He was brought back by Rogers and was cured of his mind-control by Wakanda's resident scientist Shuri. But he was killed after Thanos snapped his fingers. While Bucky's death is tragic ("Steve...") it's wholly unexpected for a different reason. There was a widespread assumption that Chris Evans was retiring from his role as Captain America and Bucky was going to take over as the new "Cap". There's a precedent for this since Bucky Barnes did briefly become the new Captain America in 2007. Stan has said his take on Captain America would be very different and "darker". Having Bucky die takes that possibility away, but we'll always have the dreams. Nick Fury is the former director of S.H.I.E.L.D. and is responsible for starting the "Avengers: Initiative". He personally recruited and supports the Avengers. Since Nick Fury's first appearance introducing Stark to a "larger universe" he's been a staple of the MCU. But he's been missing from a lot of movies lately, especially "Black Panther" which was surprising even to him. "I wasn't in the 'superhero argument' movie ['Captain America: Civil War'], I'm not in 'Avengers 3 and 4'," Jackson told Yahoo UK. They're shooting them now, and they haven't called me yet. They wouldn't let me go to 'Black Panther'-ville, so it's kinda like how you gonna make a black Marvel movie and not let Nick Fury show up in it?!" Of course, it turns out he was messing with us about "Avengers 3" but he is missing from "Black Panther". We haven't seen Fury much lately but it hurts. He'll be back in the prequel movie "Captain Marvel", but losing Fury is like losing the heart of the MCU. Gamora is the rock and heart of the Guardians of the Galaxy. Her love has been an anchor for Quill after the death of his mother. Plus, it was such a senseless death. The only way Thanos could control the Soul Stone was with a sacrifice of someone he loved. In the end, the love Gamora craved from the Mad Titan proved to be her undoing. Zoe Saldana herself said that finding out her fate in "Infinity War" was a "shock". "There is a fear always of missing out, but I'm so happy that I got to play a part in the Marvel Universe, and I also got to play a character that — it has been brought to my attention — is seen as a great role model for young women," she told the LA Times. And also for young boys. I live for that, that's why I do what I do. So I guess I'm going to cry all the way to 'Avatar,' you know?" She shows up again in the Soul Stone, but she's still gone. We'll see you at the crossroads (crossroads, crossroads). 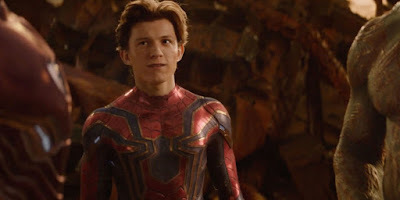 Tom Holland played Peter Parker aka the Spectacular Spider-Man. He's a teenager who gains spider-like wall-crawling, speed, and agility. His last heartbreaking words were "I don't want to go. I'm sorry." This line was improvised by Tom Holland and they're heart-wrenching. Spider-Man's death is shocking but it's unlikely that he stays dead. Kevin Feige has already confirmed he'll be back in "Spider-Man: Homecoming 2". But recent reports suggest the movie will be a prequel to "Avengers 3" and "4". So all bets are off. The most shocking death in Infinity War is Groot. Groot is a sentient, tree-like individual. He's also the best friend and accomplice of intergalactic criminal Rocket Raccoon. His shape-shifting abilities made him invaluable to the team. But Thanos disintegrated him with a snap of his fingers. What makes it surprising is he's died before. Groot sacrificed himself to save his friends at the end of Guardians of the Galaxy. James Gunn confirmed that he died, but a new Groot joined the Guardians. Fans love Groot. His dancing scene at the end of the first movie quickly became a meme and his appearance as Baby Groot in Vol 2 warmed hearts. Now he's dead again. It's almost too much. 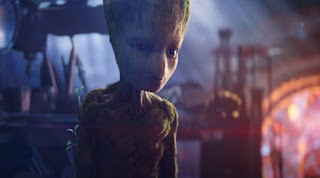 His last line in the movie is "I am Groot" but only Rocket knows what that really means. 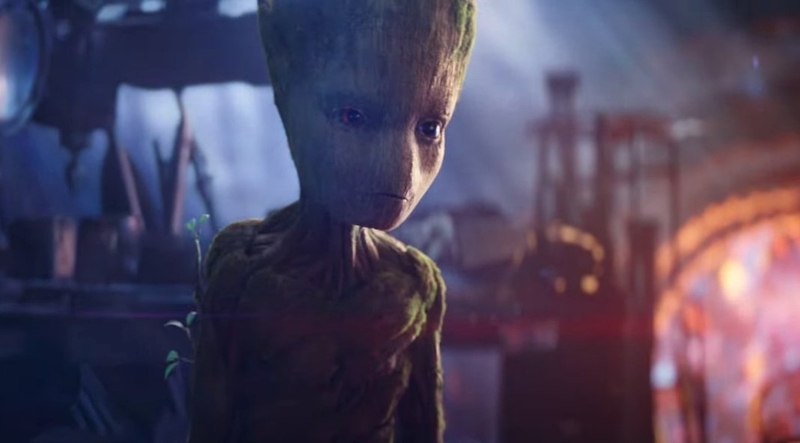 Director James Gunn revealed on Twitter what Groot's last word to Rocket is. It's simply "Dad". We are Groot. We are all Groot. 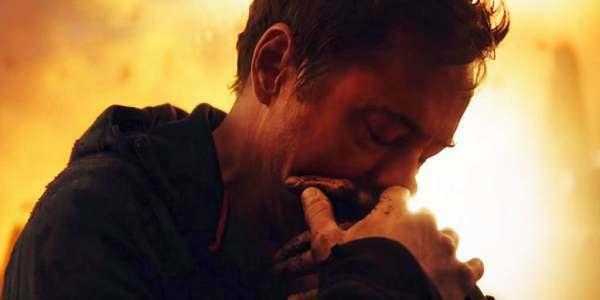 Who had is the most shocking death in "Infinity War"?